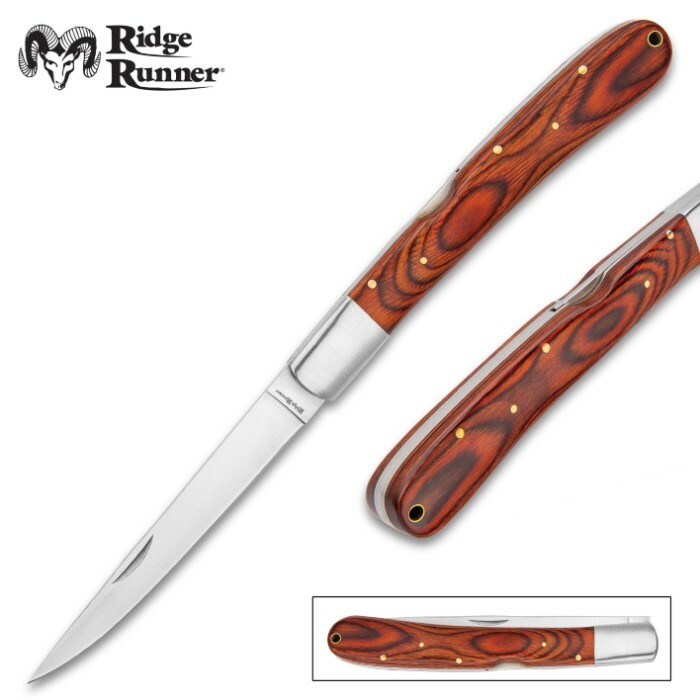 Ridge Runner Big Hunter Folding Fillet Knife - 3Cr13 Stainless Steel Blade, Wooden Handle, Lockback - Closed Length 6 1/4” | BUDK.com - Knives & Swords At The Lowest Prices! 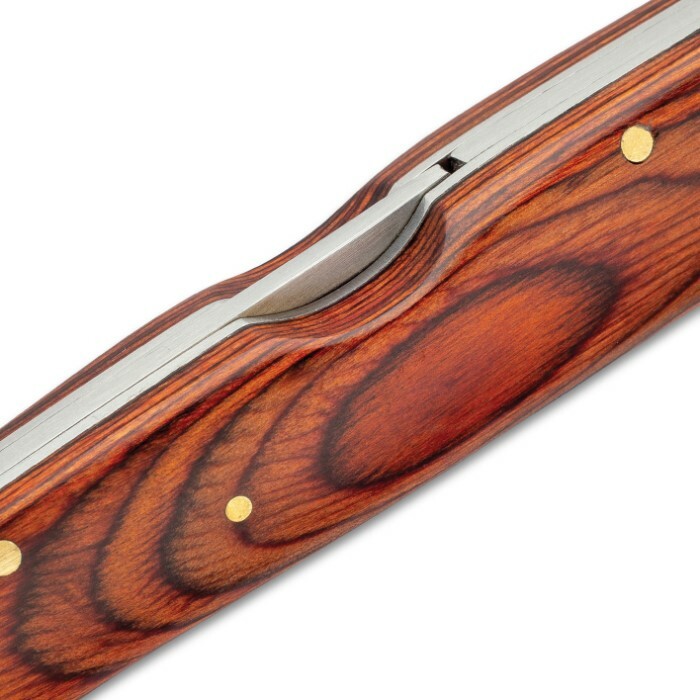 The Big Hunter Folding Fillet Knife by Ridge Runner is an excellent tool to carry out with you when you’re hunting or camping. 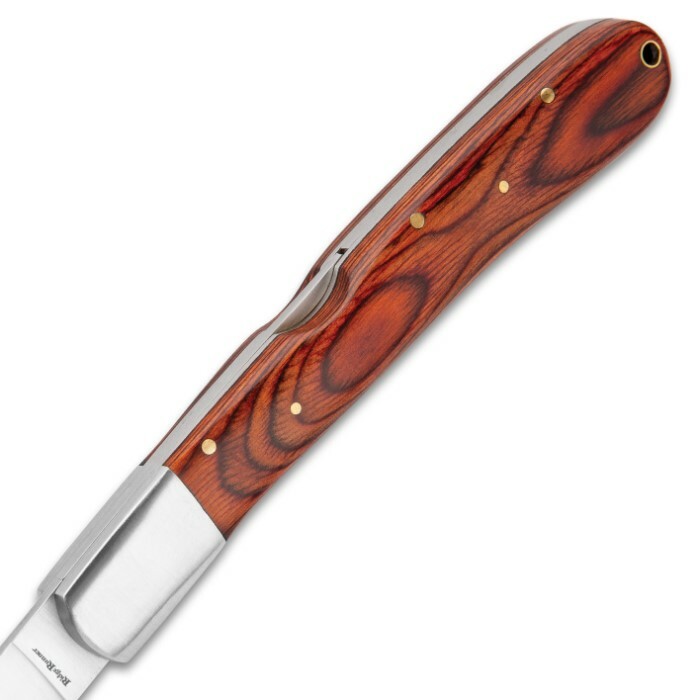 You are getting a nice sized, keenly sharp fillet knife with the convenience of it folding in half for ease of storage and carry. The 5” 3Cr13 stainless steel blade has a nail nick for easy opening and the blade is secured open by its lockback mechanism. 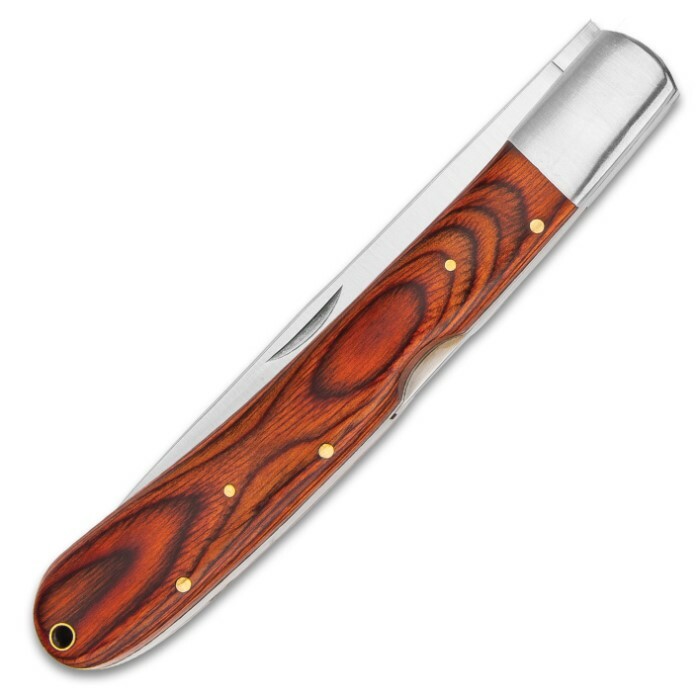 The handle is stainless steel with knot-hole patterned pakkawood scales, attached with brass pins, and it has a lanyard hole. The large folding fillet knife is 11 1/4” in overall length and is 6 1/4” when it’s closed.